Our expert chefs have a fantastic amount of knowledge covering cooking style and ingredients from all over the world. Take a look through this eclectic selection of recipes and discover some mouth-watering creations that you might not have tried before. As always, our recipes are designed to be easy to cook time and again at home - enjoy! Hand-made beef dim sum with coriander served with a plum dipping sauce. 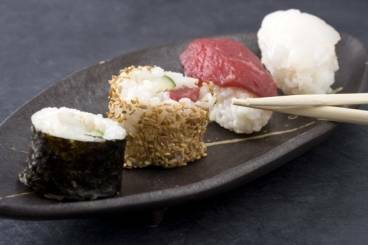 Learn to cook sushi rice then season to make maki rolls and salmon sushi. An authentic green Thai curry with chicken served with jasmine rice. 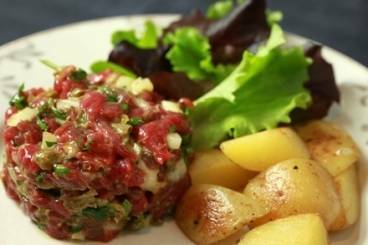 A nice Summer dish perfectly seasoned to bring out the flavours of the beef and served with pan-fried potatoes. 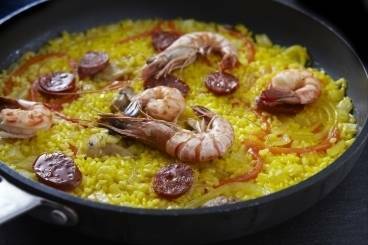 A typical Spanish dish made with chicken, chorizo, tiger prawns, fennel and red pepper. 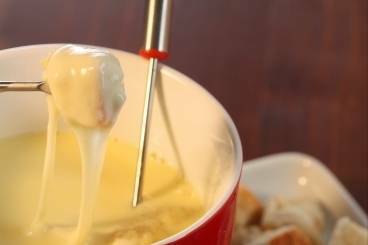 A traditional Savoyard fondue recipe made with comté, emmental and beaufort cheeses cooked with white wine and garlic. 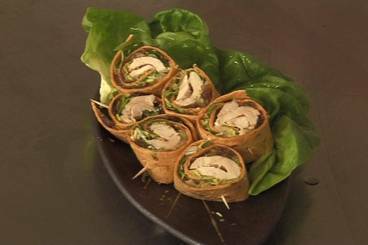 A Mexican style tortilla wrap with pan-fried chicken, lettuce and home made, super quick shallot chutney. A very simple recipe for homemade burgers made with minced rump steak, shallot and thyme. Al dente rigatone pasta served with a delicious bolognese sauce.